My husband, however, surprised me and asked for socks. SOCKS! Absolutely, I can knit him socks. He actually has small feet for a man and can fit most large sock patterns. And he loves having socks to match his outfit. As soon as I could, I immediately cast on Simple Skyp Socks in Sweet Georgia Superwash Sport. 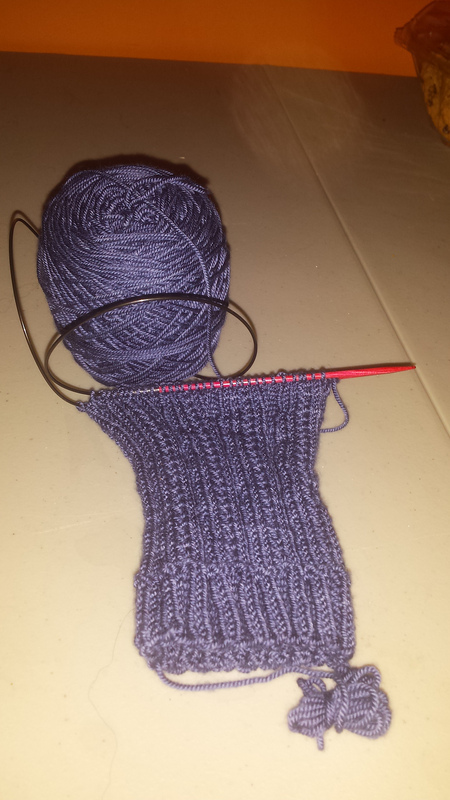 So I am now a happy sock-knitting wife for my happy sock-loving husband.